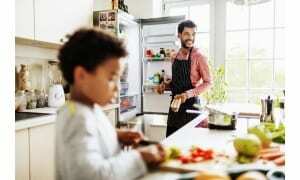 Fridge Freezer Safety - Which? 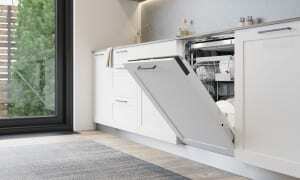 Our advice on fridge freezer backs and fires. Find out more about how to use your fridge freezer safely. All fridges, freezers and fridge freezers need insulation to keep cool. This insulation is flammable, so it's essential that it's sufficiently protected in the event of a fire. The backing that protects this insulation is currently made from either plastic, metal or aluminium laminate, depending on the make and model of refrigeration appliance you buy. We are therefore not recommending any refrigeration appliances with flammable plastic backing. All fridge fridge freezers with this backing have been made Don't Buys, regardless of how else they performed in our chilling and freezing tests. 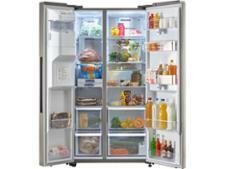 See all the best fridge freezers. How can I tell if my fridge freezer is metal or plastic backed? It can be very difficult to tell whether or not your fridge freezer, fridge or freezer has a plastic back or not. One way to find out which materials the back of your appliance is made from is to check if your fridge freezer, fridge or freezer has been reviewed by Which?. If so, the material of the back panel should be listed in the technical specifications section of our fridge freezer reviews. Alternatively, you can consult our tool below. Should I worry if my fridge freezer is plastic-backed? Consumers who already own a fridge freezer, fridge or freezer with a flammable plastic back should be reassured that the likelihood of a refrigerator fire is very low. Our March 2018 research analysing government fire data found that only 8% of fires caused by faulty household appliances were caused by fridge freezers, fridges or freezers. It's important to note that the material used in the backing can allow an existing fire to spread - it isn’t the cause of fire itself. If the model you're looking for isn't in our tool above (or for any reason you can't see our tool, or it's not working for you), you can check all of our Don't Buy fridge freezers to see those models currently on sale that we've made Don't Buys. If you still can't find it, we recommend contacting the manufacturer of the appliance. 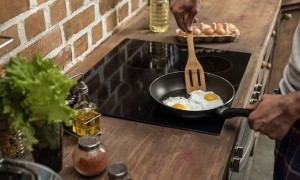 However, as we have said above, if you own an appliance with a flammable plastic back, the likelihood of a refrigerator fire is very low, and the material used in the backing can allow an existing fire to spread – but it isn’t the cause of fire itself. Buying a metal-backed fridge freezer doesn’t have to cost a fortune, as our pick of the top five metal-backed fridge freezers below shows. 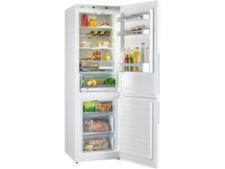 This impressive meal-backed fridge freezer is a great home for your food and a bargain for the price. It sailed through our tough chilling, freezing and temperature-stability tests and it's energy efficient, too. While some of the storage features could be slightly more user-friendly, this fridge freezer is still easier to live with than may we see. If you're looking for a cheap, metal-backed American fridge freezer, you won't find many better than this. Not only is it packed full of features, including door alarms and a frost-free freezer, but it's also excellent where it really counts. Both fridge and freezer are quick to chill and they'll maintain a safe and steady temperature, whatever the temperature in your kitchen. This bargain metal-backed fridge freezer is both cheap to buy and cheap to run. It's not quite as spacious as some we've seen, but don't let that put you off. It's a fantastic home for your food and didn't do badly in a single one of our tests. This metal-backed freestanding fridge freezer may not look especially cheap, but it’s worth thinking about the total cost over the appliance’s lifespan. 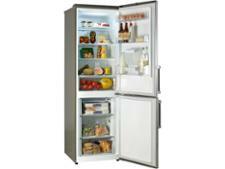 This is one of the most economical fridge freezers for its size, so it will help to keep your energy bills down. Plus, this model didn't do badly in a single one of our tough chilling and freezing tests and it's easier than most to live with. Built-in fridge freezers cost more than good freestanding ones, with the average price of the integrated models we’ve tested costing more than £660. That makes this model a good option if you want a built-in without breaking the bank. 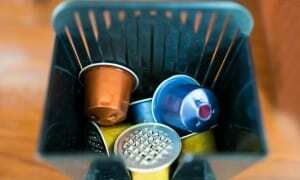 It chills and freezes really quickly to help prolong the freshness of your food. It’s not perfect when it comes to temperature stability in cold room temperatures, and it’s not the most efficient for its size, but this is still well worth considering. Refer to your appliance manual to ensure that recommended distances are kept between your refrigeration appliance and the wall, and to ensure there are no other obstructions that can restrict airflow. Don't be tempted to put that fridge freezer in the hallway - if a fire does break out in your home, you need all escape routes to be clear. Fit smoke alarms: white goods are often left switched on 24 hours a day, seven days a week; a smoke alarm will wake you up if a fire starts while you're sleeping. You should fit a minimum of one smoke alarm per floor and fit enough alarms to cover all areas where a fire could start, making sure they are tested regularly. Register your appliance - so you will be informed if the manufacturer identifies any issues with the product you have bought. Be careful with refrigerant. Refrigerant is used in fridges, freezers and fridge freezers to extract the heat from the device. In modern appliances, it's used in very small quantities, but it is highly flammable and so needs to be treated with care. With this in mind, be careful when transporting a refrigerator and don't plug it in if it looks damaged in any way. To reduce risk of refrigerant leaks, don't defrost the appliance using anything sharp. Be careful if you're thinking about using a big refrigerator in a small room. The proportion of refrigerant to normal air could get too high in the unlikely event of a leak, so will make the air more flammable. Common advice is that the room needs to have 1 cubic metre for every 8g of refrigerant used in the appliance. The amount of refrigerant can be found on your appliance's rating plate. Your manual will tell you where to find the rating plate. Sign our petition on unsafe products.